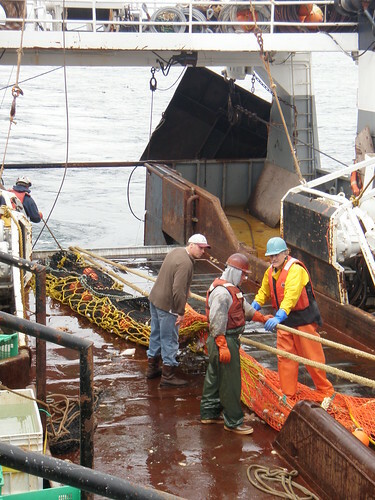 Researchers during a a BASIS research cruise in the Bering Sea sort immature and maturing chum salmon catch. Photo by Jim Murphy. Bycatch is defined in the Magnuson-Stevens Fishery Conservation and Management Act as fish that are harvested in a fishery but which are not sold or kept for personal use. This includes the portion of the catch that is discarded back into the sea, and unobserved mortality due to a direct encounter with fishing gear that does not result in the capture of that species by a fisherman. Discards include species that must be returned to the sea by law (regulatory discards), and fish that are discarded at the discretion of the fisherman because they are not economically worthwhile to keep (economic discards). Although fishermen try to catch only fish that can be sold, fishing gear is not 100% selective, and some undesirable fish and other organisms are caught incidentally in the course of fishing operations. These non-target organisms are considered bycatch. The Council works to balance the priorities of all of the national standards in the MSA, one of which states that conservation and management measures shall, to the extent practicable, minimize bycatch, and to the extent bycatch cannot be avoided, minimize the mortality of such bycatch. 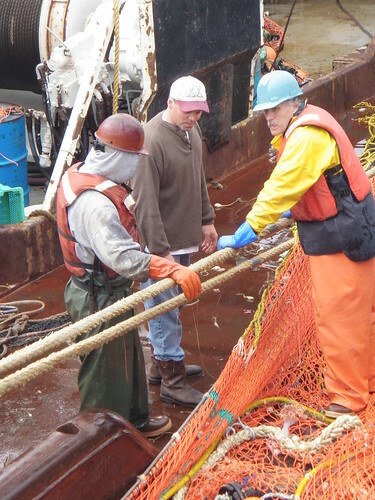 Salmon, crab, herring, and halibut are all prohibited species in the Alaska groundfish fisheries, and regulations require that bycatch of these species may not be sold. The Council has a long history of developing regulations that prohibit fishermen from fishing in ways that result in high levels of bycatch. 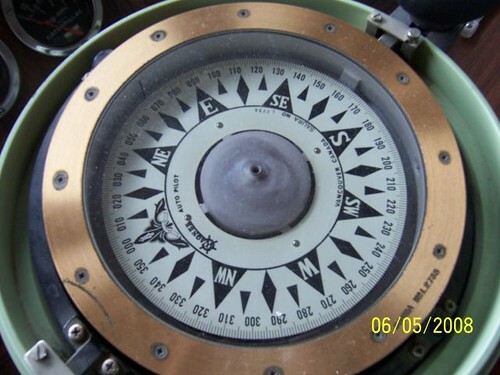 For example, regulations in various fisheries prohibit fishing in specific times or areas, can require the use of specific gear or gear modifications, and can restrict the use of catch or the level of bycatch. While reduction in waste is desirable, bycatch restrictions typically increase costs to the groundfish industry, either by limiting fishing or reducing fishing efficiency. 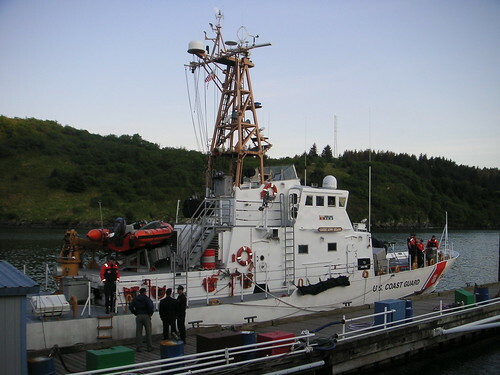 Chinook, chum, coho, sockeye, and pink salmon are all taken as bycatch in the groundfish fisheries in the Bering Sea/Aleutian Islands (BSAI) and the Gulf of Alaska (GOA). 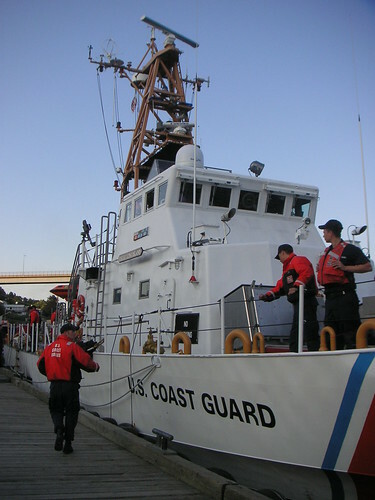 Salmon bycatch is officially grouped as either Chinook salmon or ‘other’ salmon, and the latter group consists of the other four species combined. However, chum salmon represent the vast majority of salmon taken in the ‘other’ salmon category. 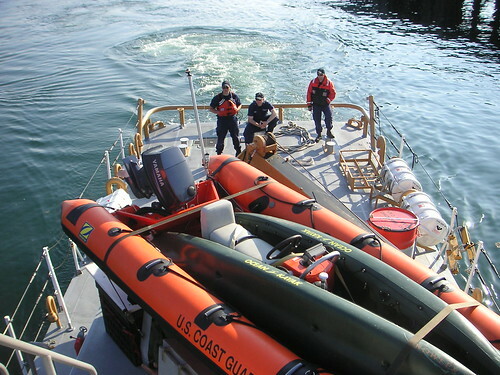 Salmon bycatch generally occurs on vessels fishing with trawl gear. 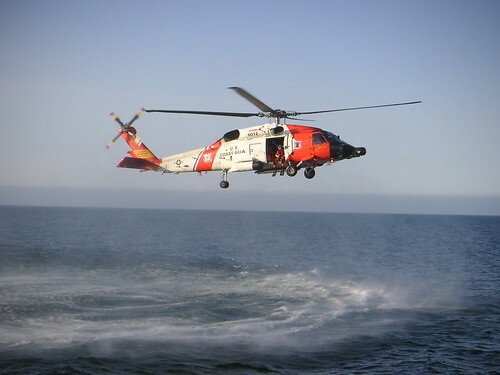 The Council’s approach to reducing salmon bycatch is different in the Bering Sea than in the GOA trawl fisheries, because the issues and data availability are different in each area. In the Bering Sea, bycatch of salmon occurs primarily in the pollock trawl fishery, and the fishery intercepts both Chinook and chum salmon. 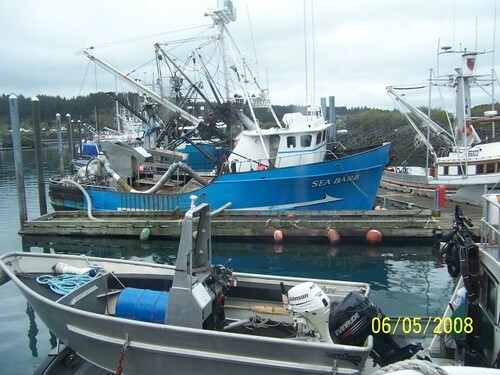 In the GOA, the majority of Chinook salmon bycatch occurs in the pollock trawl fishery, however other target fisheries for flatfish, rockfish, and Pacific cod also intercept Chinook salmon. In recent years, however, the number of ‘other’ salmon that are encountered in the GOA groundfish fisheries is low. 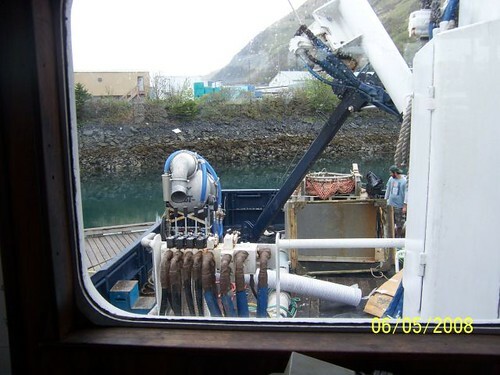 For several years, the Bering Sea pollock industry has been working on developing a Chinook salmon excluder device for trawl gear, which allows salmon to escape from the trawl net underwater, while retaining pollock. The success of such devices relies on the different swimming behaviors of pollock and Chinook salmon. Through experimental fishery permits authorized by the Council and NOAA Fisheries, various iterations have been tested, and their voluntary use by pollock skippers is increasing. 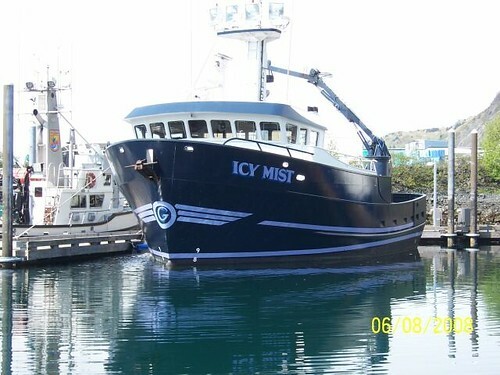 Recently, the GOA pollock industry has begun to consider how the Bering Sea Chinook salmon excluder might be adapted for the smaller GOA pollock fleet. Staff contact is Diana Stram: 907-271-2806.